The northeastern section of the North Island was the birthplace of the New Zealand nation, and is a region of rare unspoilt natural beauty. A striking subtropical coastline is dotted with gorgeous islands and secluded coves and bays. 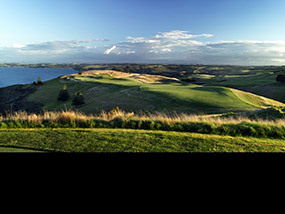 It was here in Matauri Bay during the 1990s that Wall Street financier Julian Robertson bought a 4,000-acre cattle ranch, with panoramic views over the headland and out to the wild Cavalli Islands, and looked to create his own luxury golf destination. 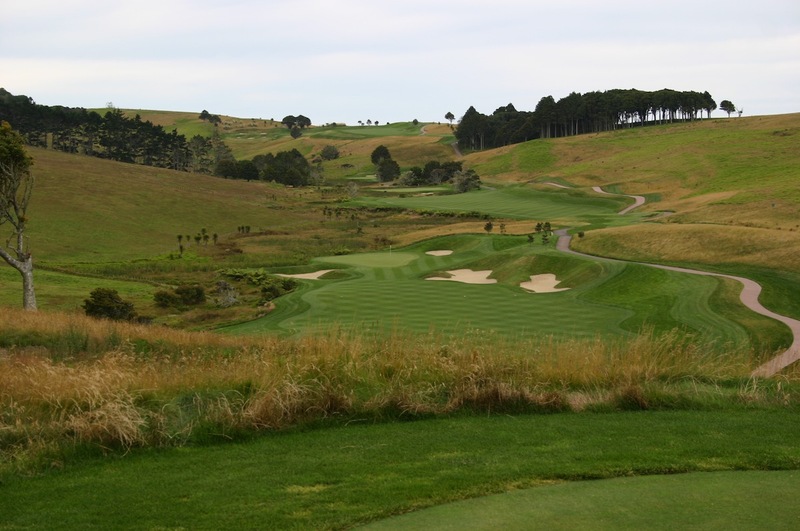 With the odd cluster of the region’s giant Kauri trees and a site touching enormous cliffs that crash hundreds of feet down into the sea, Kauri Cliffs was born. Set mostly on heaving pastureland, the course was designed by American David Harman and enjoys mesmerizing views of the outer reaches of the Bay of Islands. Though only a handful of holes hug the bluffs above the Pacific Ocean the land generally leans toward the sea, meaning it is visible from the majority of holes. Away from the cliffs the rolling fairways tend to follow the curvature of the land, Harman making full use of the dramatic site by routing holes along broad crests, across ravines and by using inland promontories throughout his bold design. Given the wind strength and extreme penalty for missing fairways, the landing areas are fairly generous from the tee although tighter driving lines are often rewarded with easier approach shots. This is very much a second shot golf course, however, as the key to scoring well is finding greens that are heavily contoured and presented to play firm and fast. Starting from a central clubhouse, the course winds its way gradually toward the sea with a series of solid holes played through shimmering fescue grasses. Standout moments early include the heroic par five 4th and the all-carry par threes at the 5th and 7th, the former redesigned by Rees Jones in 2014. Sandwiched between is a brutal par four that demands a strong drive across a gorge followed by a blind, rising approach. While there is some decent strategic golf within a deep valley early on, the inward nine is best remembered for the loop of holes back toward the ocean, starting with the long one-shot 14th, which stares straight down to the Cavalli Islands. The next three holes along the coast are the most dramatic as the golf gets closest to the cliff edges and the outlooks are totally uninterrupted. Though exciting to play, the horseshoe finish at the reachable par five 15th is a tad severe and probably makes the safe play too attractive for those looking to make a birdie. The sometimes driveable 16th, heading toward the distant sea, also sadly favors the conservative play but the 17th is terrific, and features both an oblique shelf fairway and well-bunkered green site with an unbelievable Bay of Islands backdrop. With a four corners wind that swings around on a day-to-day basis, there are set-ups and conditions here that are more trying than others but the course remains playable for the average golfer thanks to a wide selection of teeing options. 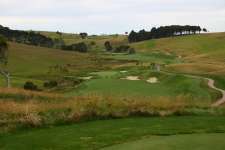 Despite its very obvious attractions, ultimately what keeps Kauri Cliffs from the very top shelf is the lack of genuine world-class design to match its astonishing setting. 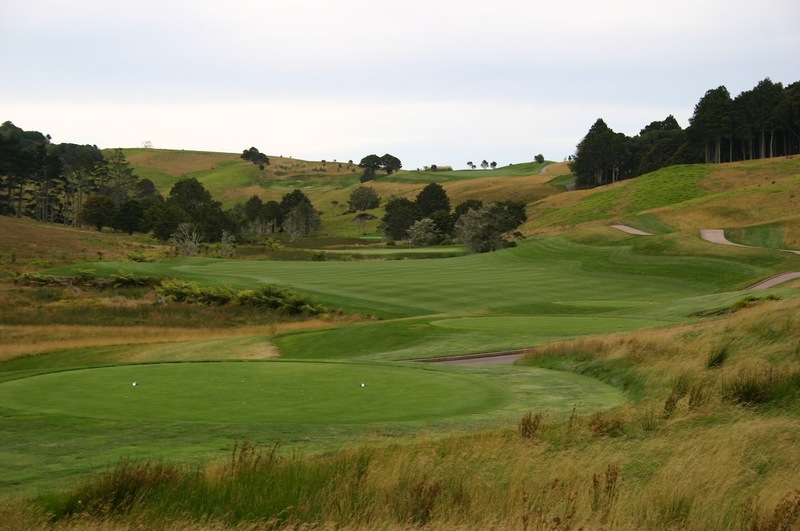 With barely a blade of grass out of place, however, as well as superb scenery, Kauri Cliffs is a visual feast that is sure to impress most who golf here. 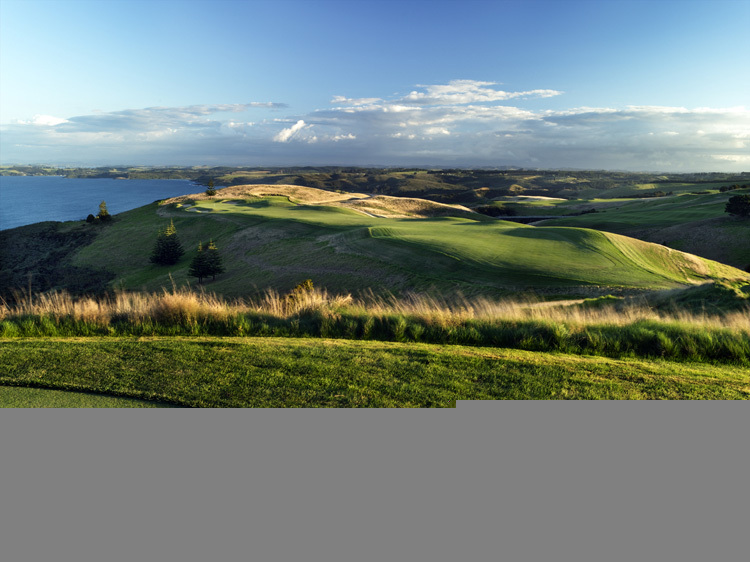 The land of the long white cloud is one of the world's leading golf destinations, with the likes of Cape Kidnappers, Jack's Point, Kauri Cliffs and Paraparaumu Beach luring the discerning golf traveller.